Wow, wow, wowzwers was it a strong week for new releases, with loads of great, fresh titles to choose from. Starting with a couple of freebies, we have Flat Pack, the latest offering from Nitrome. It is a rather neat platformer, with a twist, as it allows players to (optionally) experience the game using Apple’s new ARKit feature. 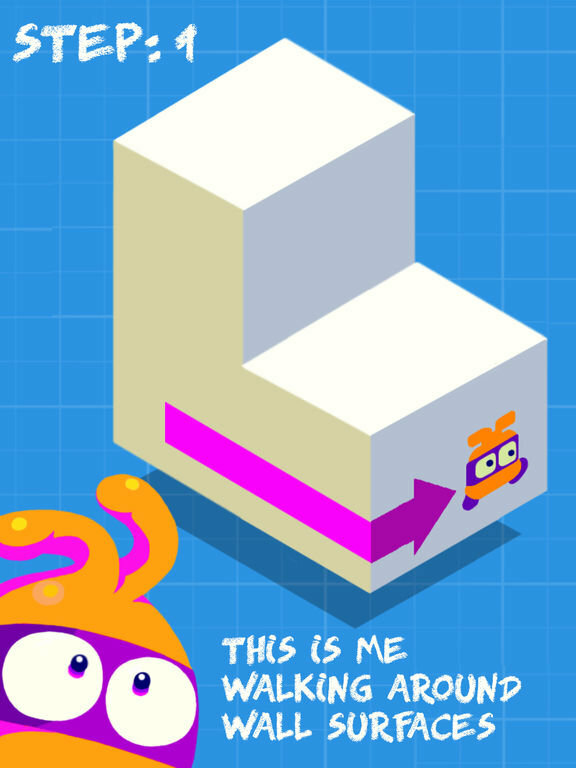 Instead of a traditional linear platforming experience, in this mode the 3D play area floats in front of the player and as the character on the screen reaches the end of a side of the play structure, the player must contort twist and maneuver their body (and device) to change their point of view to see the new section of the level. You’ll need a lot of open space and maybe a few Advil afterwards, but this game does a particularly nice job of showcasing what ARKit is capable of. Cartoon Network, who just released the Adventure Time themed game Champions and Challengers last week, is back with Wrecker’s Revenge, another game in the Amazing World of Gumball universe. The evil Dr. Wrecker has zapped all of Elmore into the Void and it’s somehow up to Gumball to try to save them. Players use a slingshot mechanic to fling Gumball from one floating island to the next, rescuing the grateful citizens of Elmore along the way. Fans of the animated series will enjoy appearances from all of their favorite characters and the randomly generated levels mean that no two games are alike. Then it is onto paid games with Grapple Gum, a cool one-touch, slingshot-action platformer with doodle artwork and an indie vibe. 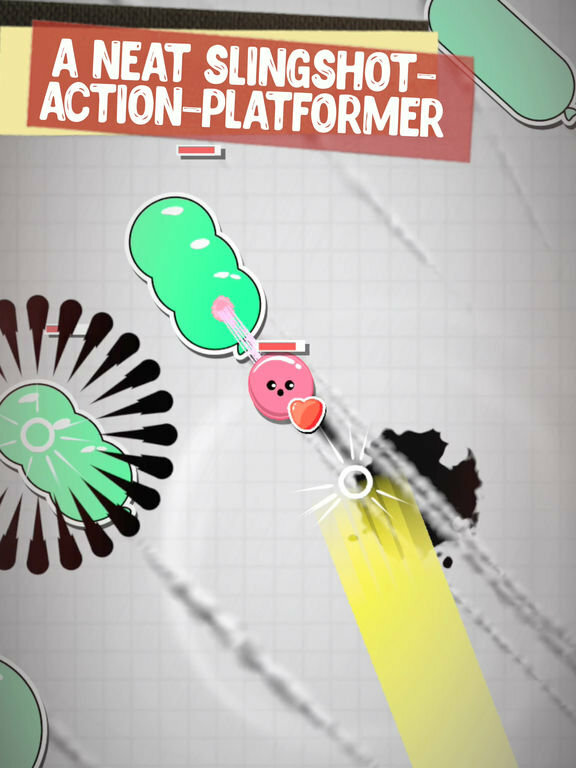 Players take on the role of a little pink piece of gum, floating through space. Stick yourself onto passing objects to hitch a ride while shooting down baddies before facing off against a variety of big bosses. All of the gum’s movement it controlled through taps and swipes. Tap on a passing balloon to hook onto it and pull yourself on board for the ride, or drag back and release on the gum to send him through heart-shaped balloons to recoup some health. Or just tap the screen to lay down some fire. The game features a number of different weapons, each of which has its own upgrade tree as well as over 40 permanent bonuses to encourage replayability. It is a fun little time waster that really satisfies my nostalgia for the simpler (hit) games of the early days of the App Store. 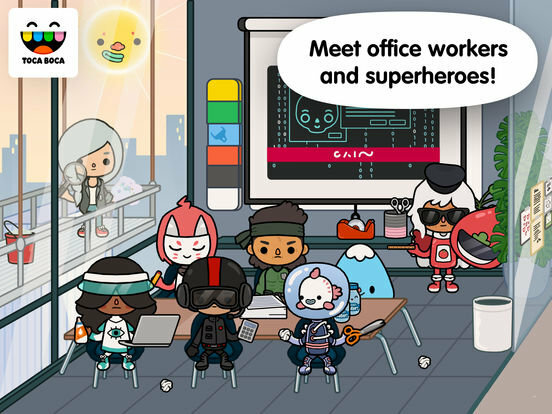 If you have kids, then you will definitely want to pick up Toca Boca’s latest offering, Toca Life: Office. As I’ve said numerous times before my 7 and 10 year-old girls absolutely love the Toca Life series of imaginative play apps and Office is no exception. The app features six fun new locations to locations to explore including a bank, office, rooftop, courthouse, apartment and daycare, plus a bonus storage building (with a fire pole). There are also thrity-five crazy new characters including a fishbowl-headed creature complete with a fish. Not only do the kids get to play “grownup” by going to the office, but the coolest part (and my daughters’ favorite part) is that this one features loads of hidden costumes which allow you to turn any character (even tiny little pups and kittens) into a superhero (or super villain). My girls love to make up their own superhero battles and discovering new little interactive things, hidden items or places to explore each and every time they play. I cannot recommend this app enough, if you have younger kids, buy this app. With the release of iOS 11, we’ve seen a lot of developers trying their hand with ARKit (I already mentioned Nitrome’s offering earlier in this post). Another developer that seems to be really augmenting the heck out of reality is Climax Studios. While, due to its brevity, their new title ARise, feels a bit more like a tech demo than a completed game, this isn’t all their fault and it is still absolutely brilliant. The studio was asked by Apple to push up the release date of the game so it could be a day one AR launch title for iOS 11 and one look, and it’s no wonder why Apple was enamored with this game. Perhaps the easiest way to describe ARise is to imagine what if there was an AR version of Monument Valley. 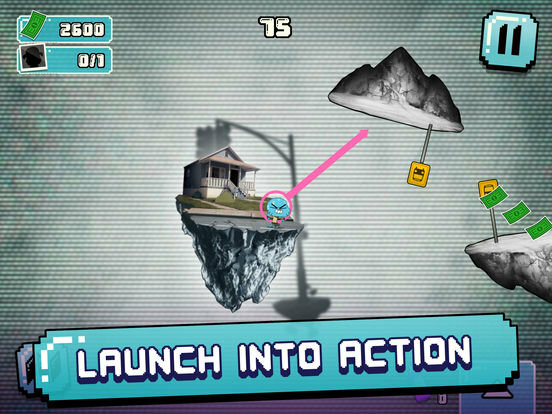 In this game players must employ a combination of device tilting and movement around their physical space to skew perspective and align target symbols to forge a path forward for the character to safely (auto) navigate the floating islands. Right now the game only contains three worlds, with the promise of free monthly updates to add additional puzzles. Unfortunately the game has been getting some negativity due to the minimal level count and the fact that this is a paid title. Hopefully Apple’s eagerness to see this released before all of the content was available doesn’t end up hurting it, because this is quite an innovative and engaging experience that truly showcases the power of AR. Much like last year’s A Normal Lost Phone , I cannot talk in too many specifics about Accidental Queens’ spiritual successor, Another Lost Phone: Laura’s Story, without revealing some of its secrets. So I’ll just summarize by saying that you’ve come across a stranger’s phone and once again you must navigate our way through the various social media, email calculator and other apps on the device to uncover details regarding the lost device’s owner and her story. 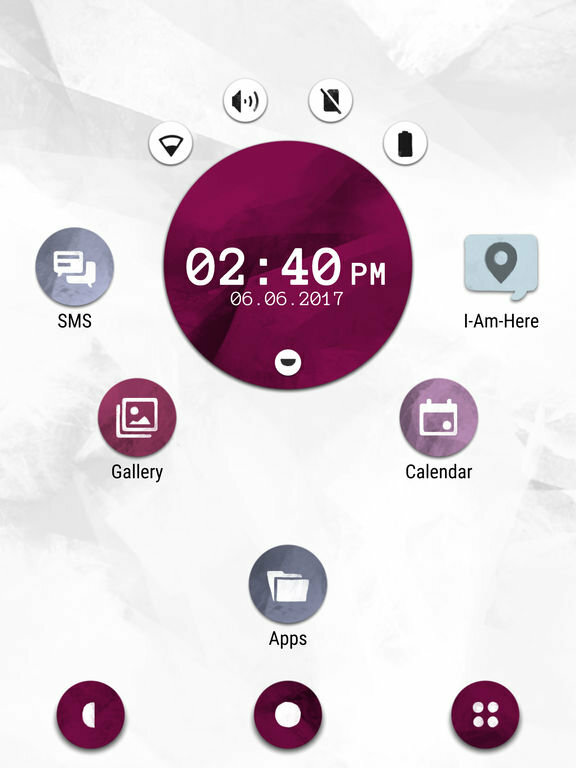 You have to find clues among chats and emails in order to unlock additional areas of the phone and even enable the WiFi. Puzzle-wise, this one felt shorter than the original, but on the other hand, there seemed to be a lot more text and story to this one. Once again, the narrative dives into an important topic that is hard for some people to discuss and presents it in a way that feels organic and authentic. While the game is fairly brief, especially given some of the other “adventure” games which launched this week, I think this is an important game to experience. Though at times it feels like you are invading someone’s privacy, I quite enjoy the puzzly, forensic scientist feel of this series and I hope Accidental Queens continue to put more games out in this brilliant series. A surreal feast for the senses, FIFTYTWO’s Kenshō is an impressive shifting, matching puzzle game that kind of took me by surprise and delighted me. It immediately grabs your attention with flashy, almost three dimensional visuals that seemingly pop out of the screen; not to mention the soothing original soundtrack. 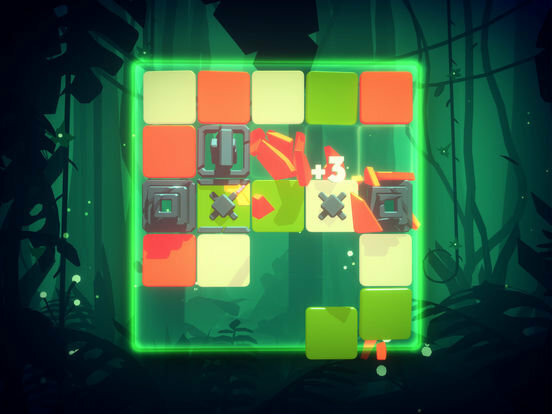 Players must slide colored blocks around a 5×5 grid with new pieces coming in randomly after each move. Matching three or more similarly colored times in a line causes those tiles to smash and disappear, making room for more tiles. The goal is to make matches for all of pieces containing parts of one or more keys needed to complete the level. While I’m honestly a bit burnt out on matching games, this one somehow broke through that for me. First it regularly introduces new elements like blocks with several sides blocked, meaning they can only be matched in certain directions. There is also the amazing visuals, which almost give everything a tactile/realistic feel, like little stone tiles. There are cool little touches as well, like they way that you need to solve a logic sliding puzzle with the collected keys between levels. Overall, it is a gorgeous production and Kenshō will no doubt to many a mobile gamer. That brings us to the four big ticket adventures of the week, starting with The Journey Down Chapter Three, the “boombastic finale” of SkyGoblin’s thrilling African art inspired adventure game trilogy which follows the misadventures of Bwana and Kito as they bumble their way through the mystical jungles and ancient ruins of the Underland to discover the fate of Bwana’s lost father, Captain Kaonandodo. Due to all of the other (lengthy) titles this week, I haven’t had a chance to dive into this one yet, but plan to imminently as I quite enjoyed the first two parts of this series with excellent visuals and a fantastic cast of voice talent. Then we have the latest offering from Crescent Moon Games, a low-poly first-person adventure and exploration game called Morphite. 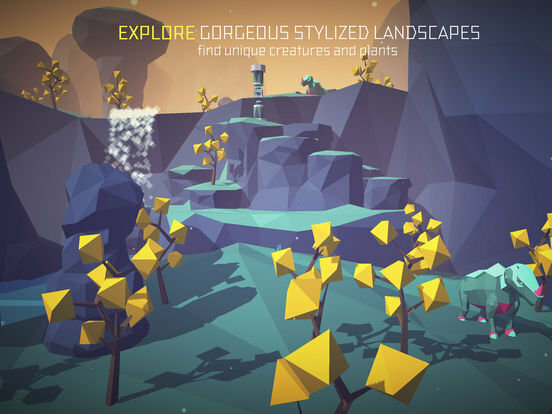 It is hard to talk about this game without drawing the obvious comparison to Hello Game’s somewhat controversial grandeur of a game, No Man’s Sky, especially as this game shares that game’s Low-Poly graphical style. While smaller in scale than NMS, Morphite offers quite an impressive amount of content and gameplay in a mobile package. Playing as a young female resident of a space station, you get to travel to and explore an insane number of randomly generated worlds. She’s on a journey of discovery, revealing her “unknown past and her relationships to a rare, coveted, and nearly extinct material called Morphite”. While on the surface of these planets you use your scanner to collect information about the resident plant and animal life which can be used to unlock ship and gear upgrades. There are also space battle segments and more. This is one of those games where it is what you make of it. In some ways the game can almost feel overwhelming due to its sheer scope, but at the same time, the player decides how long they want to explore and if they want to shoot creatures or not. If you like sandbox style games with a little structure and nice sci-fi theme, you can’t go wrong with Morphite. 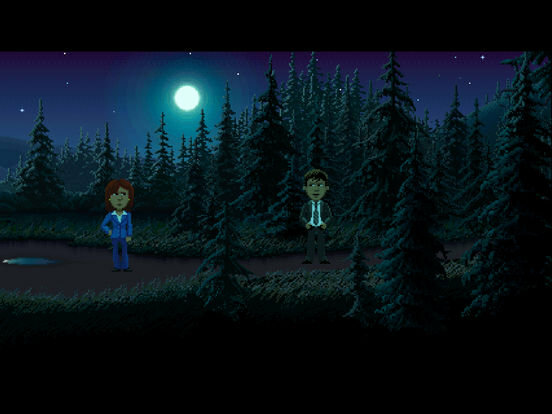 OH BOY!, now it’s time for my favorite new game of the week, Thimbleweed Park. I have been eagerly awaiting this title since I first saw it at PAX East a couple of years ago. As I’ve mentioned numerous times on this site, point and click adventure games were my bread, butter and jam growing up. I devoured the Sierra Online and Lucas arts catalog, so when I heard that Ron Gilbert and Gary Winnick who worked together on Maniac Mansion and The Secret of Monkey Island were making a new adventure game set in the 1980s…I was all in. The game follows a Twin Peaks-esque mystery adventure revolving around a dead body, a small town, a couple of federal agents, a washed-up insult clown, a millionaire, a game designer and even a few ghosts. Gilbert and Winnick have done an amazing job at recapturing their familiar brand of PnC adventure with some super tough puzzles, brilliant humor and wit and loads of pop culture references and breaking of the fourth wall. They even included an option to let players decide how they wanted the toilet paper to appear on the rolls (over or under…the correct answer is over). You get to play as up to five different characters simultaneously, sometimes having to pass items between characters to solve certain puzzles. Each character has their own to do list so you always have some guidance of what you need to do. Should you get really stuck, there is a really cool in-game hint system, that is smart enough to know what puzzle you are currently trying to solve. Part way through the game you get a map that allows you to travel around much faster, but I wish this had appeared much sooner in the game. It took me about 13.5 hours and a fair amount of calls to the hint line to solve at the “experienced” difficulty level and I enjoyed every minute of it. 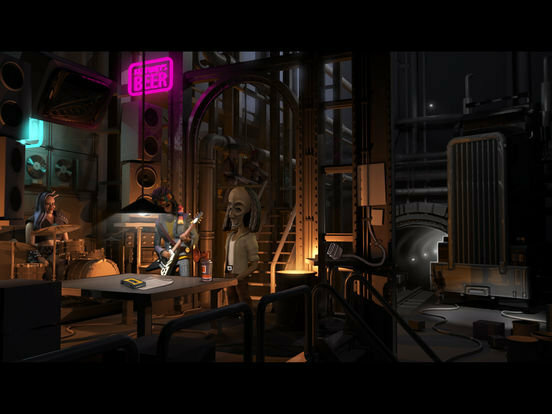 Hilarious, fun and challenging this is a wickedly rad adventure game. 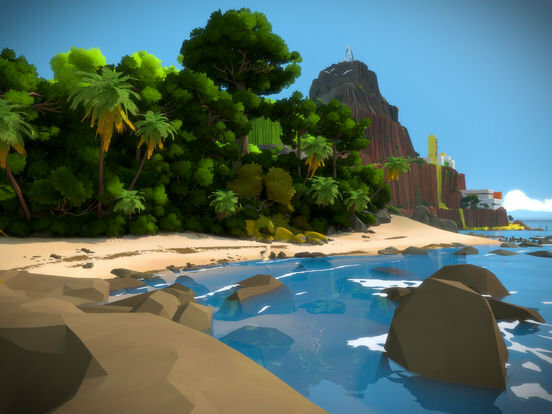 Finally, that brings us to The Witness, a beautiful port of last year’s hit single-player 3D, open world puzzle game for consoles. You’ve just woken up, alone, on a strange island full of puzzles. You are given no instructions and must figure things out on your own. 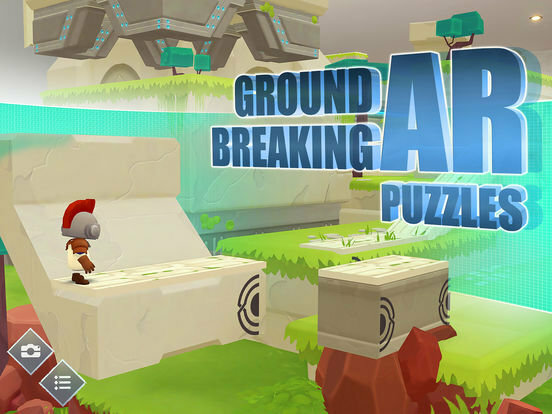 As you tap and drag to explore the stunning 3D surroundings, you’ll happen across more puzzles, with one leading you to the next and gradually introduced , new puzzle elements will continue to challenge you as you try to find your way home. The game is jam-packed with over 500 puzzles to solve and offers hours of entertainment and gorgeously rendered world to just roam around in. I love when these rich console games make their way to iOS and we get to experience them in an even more tactile way than other platforms. The Witness feels perfectly suited for the iPad, so if you haven’t already picked it up for console now’s your chance on iOS. And that’ll do it for this week…enjoy this massive list of games.